Drain old engine oil and replace with new oil in line with the manufacturers specifications. Replace old oil filter with new BOSCH (or similar OE quality) oil filter. Check brake fluid boiling point, record results and top up fluid to the maximum level. Perform a battery check and record results. 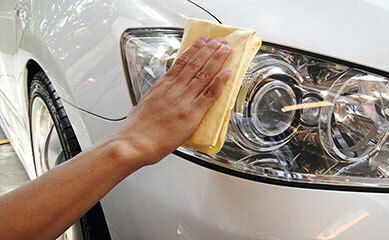 Top up screen with a concentrated screen wash solution with an all seasons solution. 31 item vehicle health check complete with supporting photos of your vehicle. Redgate Vision video appraisal (available on request). 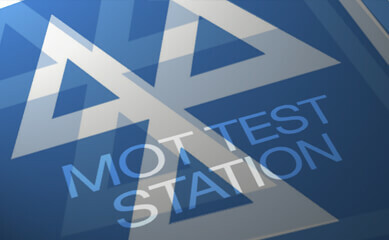 Free reminder text messages and emails for future Services and MOT's. Remove old air filter and replace with a new BOSCH (or similar OE quality) air filter. PETROL ONLY: Remove old spark plugs and replace with a new BOSCH (or similar OE quality) spark plugs. DIESEL ONLY: Remove old fuel filter and replace with a new BOSCH (or similar OE quality) fuel filter. Check anti-freeze operating levels, record results and top up fluid to the maximum level. Clean front and rear brakes – calipers, discs and pads. 49 item vehicle health check complete with supporting photos of your vehicle. Replace old oil filter and replace with new BOSCH (or similar OE quality) oil filter. Remove old pollen filter and replace with a new BOSCH (or similar OE quality) pollen filter. Drain brake fluid system and reservoir, check brake fluid pipes and system for any leaks or damage, refill with fresh brake fluid. Drain anti-freeze system, check system for any leaks or damage, refill with fresh anti-freeze. Full 4-wheel laser wheel alignment check with print off and recommendation of any adjustments needed. FREE use of our courtesy car (advanced booking required). 55 item vehicle health check complete with supporting photos of your vehicle. 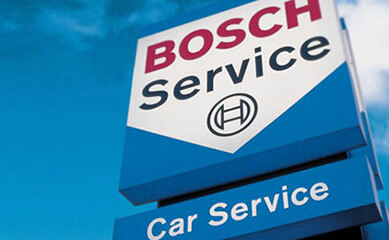 As a Bosch Car Service Centre we use strictly Bosch filters and parts when available. If Bosch parts are unavailable, we will use similar quality OE filters and parts. OE quality mean the parts we use are equivalent in quality to those originally fitted to the car during initial production of the vehicle. Many of the components cars are fitted with in production are Bosch so you can rest assured our services will have not affect your warranty. If you require use of a courtesy car whilst your car is in with us, please ask our Service Advisor at initial booking to check availability. 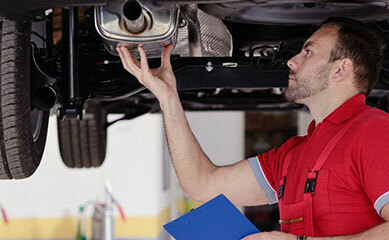 We are Bosch Car Servicing Approved and are also part of 1 Link Fleet Management. Take advantage of our relaxation area with free WIFI, refreshments & TV. 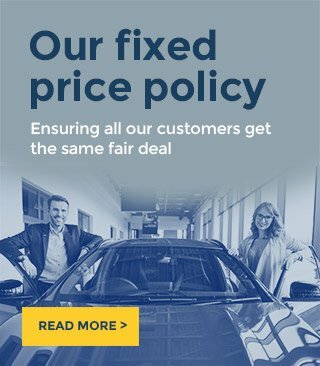 Prices may vary for some prestige or rare cars and 4x4s. Parts will be replaced in accordance with manufacture guidelines.